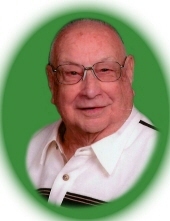 Celebrating the life of Joseph H. Kidder Jr.
Obituary for Joseph H. Kidder Jr.
Joseph H. Kidder Jr., age 93, of Toledo's Point Place Community, passed away Thursday, October 25, 2018 following a long illness. He was born June 12, 1925 in Toledo, Ohio to Joseph H. and Ethel (Derenzy) Kidder Sr. Joseph was employed as a assembly worker at the Jeep Corporation for 25 years. When he was 17 years old, he proudly served his country in the US Navy during World War II. During his deployment Joseph piloted a landcraft on Omaha Beach in Normandy, France. He was a member of the American Legion Argonne Post and a past member of Bay View Yacht Club. Joseph taught navigation with the US Power Squadron. Joseph is survived by his daughter, Kathy (Bill) Conley; sisters, Jean Szabo and Betty Krummel; and sister-in-law, Norma Kidder. He was preceded in death by his parents; wife, Arlene Kidder; brother, William Kidder; and brothers-in-law, Leo Szabo and Paul Krummel. Family and friends may visit Tuesday, October 30 from 10:00 am - 11:30 am at David R. Jasin-Hoening Funeral Home, 5300 N. Summit St. Toledo, Ohio. The Funeral Service for Joseph will begin at 11:30 am in the funeral home with Pastor Cindy Getzinger presiding. Interment with Military Honors will occur at Toledo Memorial Park. Memorial donations may be given to Hospice of Northwest Ohio. To send flowers or a remembrance gift to the family of Joseph H. Kidder Jr., please visit our Tribute Store. "Email Address" would like to share the life celebration of Joseph H. Kidder Jr.. Click on the "link" to go to share a favorite memory or leave a condolence message for the family.